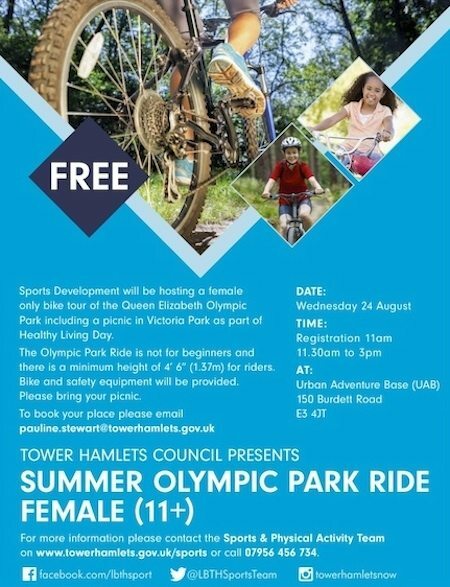 Sign up now for a free women-only cycling day taking in both Victoria and the Queen Elizabeth Olympic Park. It all happens on Wednesday August 24th, starting at 10.am from the Urban Adventure Base in Burdett Road. You have to be over 11 yrs old and above 4’6″ in height. Bikes and safety gear will be supplied. See below for details of how to get involved.